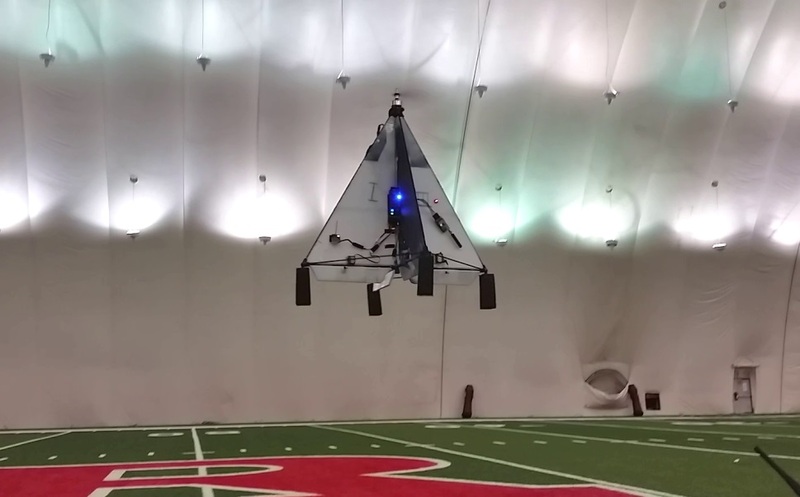 has a single motor and 4 independent flaps. the vehicle’s yaw is controlled by adjusting all four fins to point slightly clockwise or counter-clockwise. 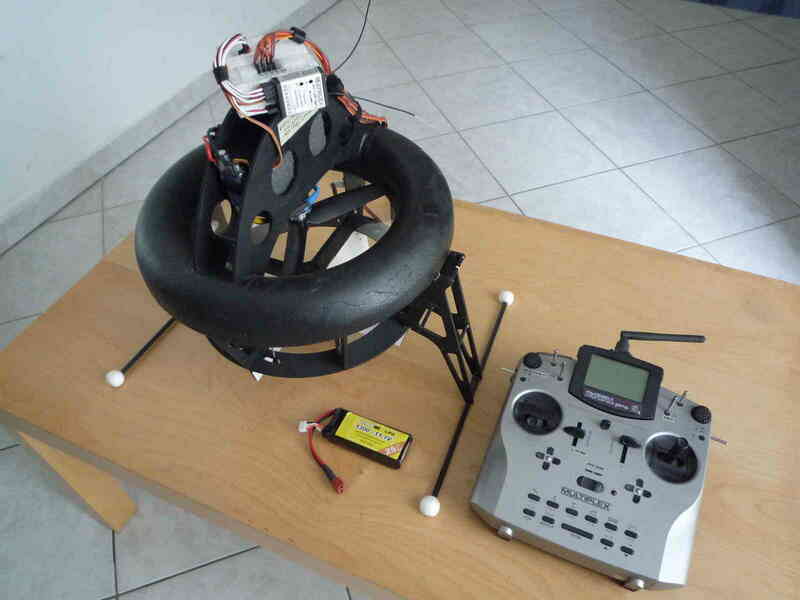 By default the flight controller should be mounted similar to a “plus” quad. The board should be horizontal with the white arrow pointing towards the forward flap. As with other vehicles the board should be placed close to the center of gravity of the vehicle. If it is more convenient to mount the flight controller pointing up, set AHRS_ORIENTATION to 25 (Pitch270). SERVO1_MIN: the forward flap/servo’s lowest PWM value before it hits its physical limits. SERVO1_MAX: the forward flap/servo’s highest PWM value before it hits its physical limits. SERVO1_TRIM: the forward flap/servo’s PWM value close to what is required to keep the vehicle from spinning. SERVO1_REVERSED: the forward flap/servo’s reverse setting. 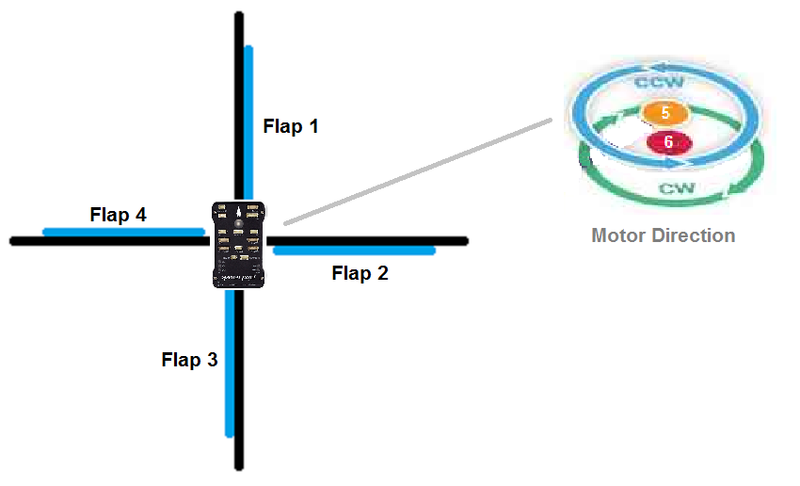 0 = servo moves in default direction, 1 to reverse direction of movement. transmitter yaw right causes no change in fin movement but motor speed changes. Top (ccw) motor should speed up, bottom (cw) should slow down. 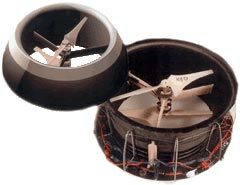 The vehicle shown below uses a counter-rotating motor pair with both propellers above the motors and the shaft of the bottom motor passes up through the hollow shaft of the top motor. 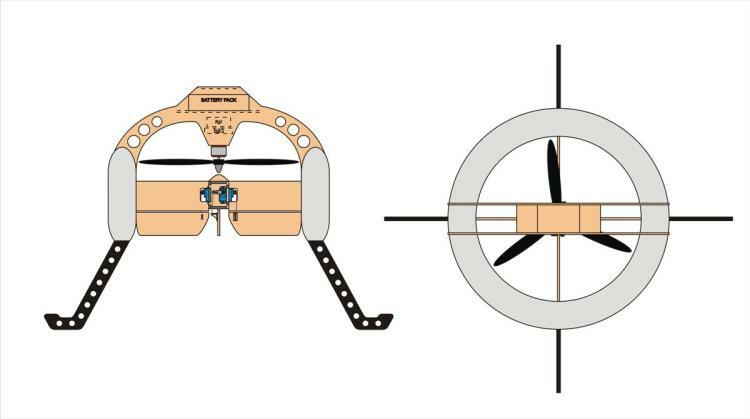 The vehicle below has two motors mounted back to back with one propeller above and the other below with appropriate support struts. © Copyright 2016, ArduPilot Dev Team.